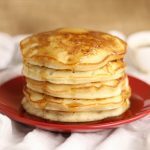 Fluffy Buttermilk Pancakes – fluffy, moist buttermilk pancakes topped with butter and your favorite syrup, jam or fruit. 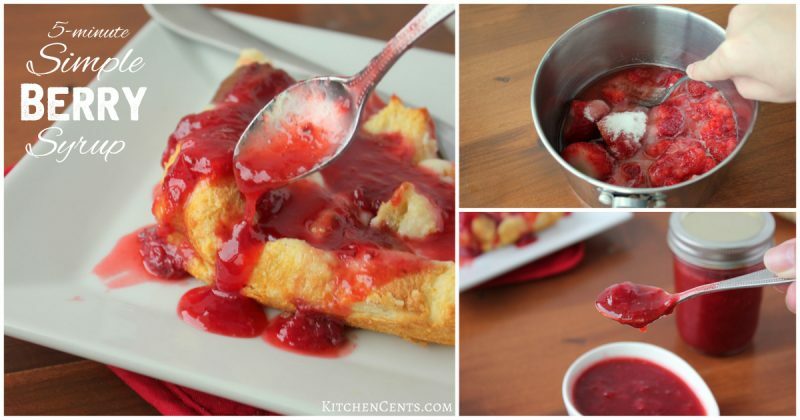 An easy breakfast comfort classic! We love breakfast at our house. 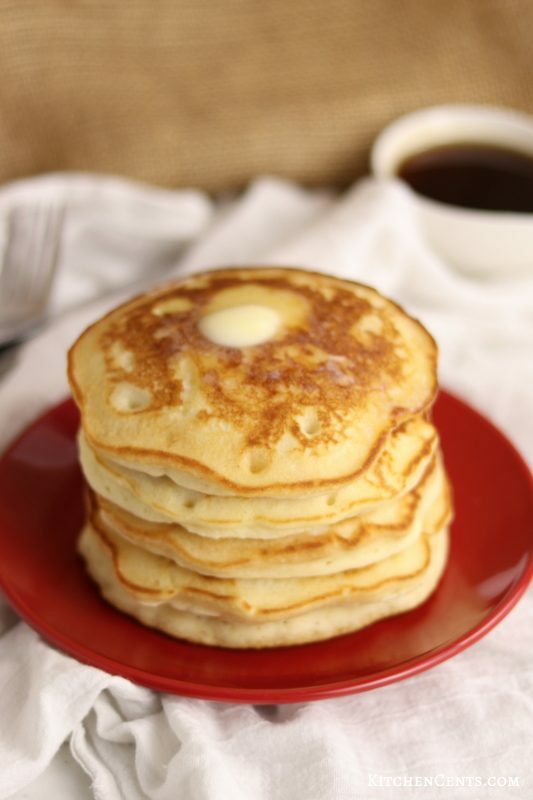 Not only because it’s the most important meal of the day but because we get to enjoy classic comfort foods like these easy fluffy buttermilk pancakes. These buttermilk pancakes sometimes even make it onto our dinner table when it’s been a long day and breakfast for dinner is on the menu. These fluffy buttermilk pancakes are made from simple, down-home ingredients you probably already have in the pantry or fridge. 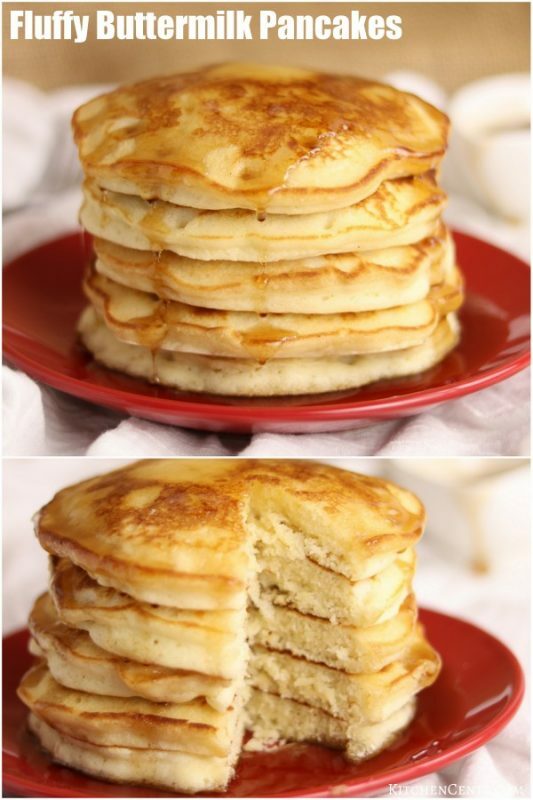 What ingredients do I need to make these fluffy buttermilk pancakes? Do you have all the ingredients on hand? Most of these ingredients are considered staples in my home and I’m guessing most if not all are pantry staples in your home too. This ingredients list is one reason why I love this recipe. 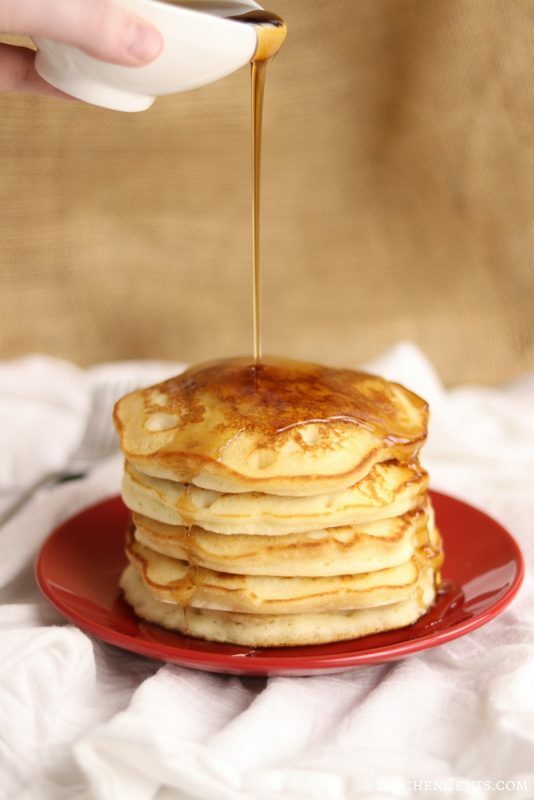 I always have the ingredients to whip up a batch of these fluffy buttermilk pancakes. 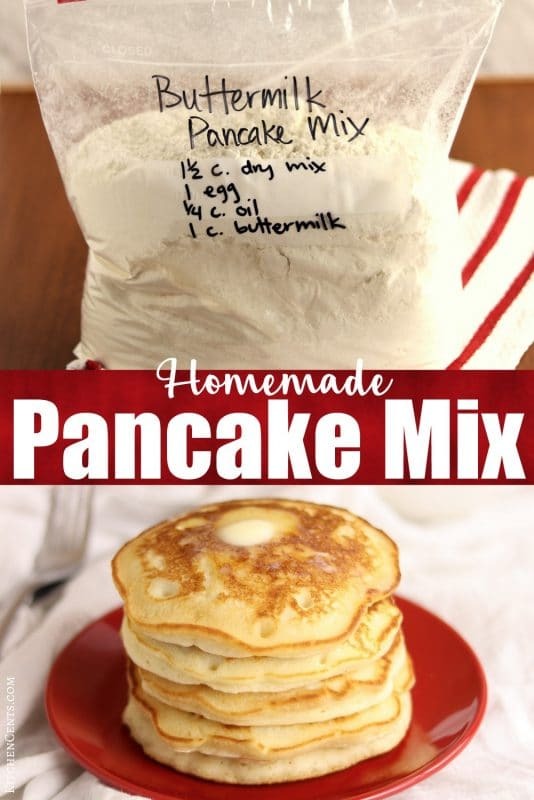 You can make your own homemade dry pancake mix with this buttermilk pancake recipe. 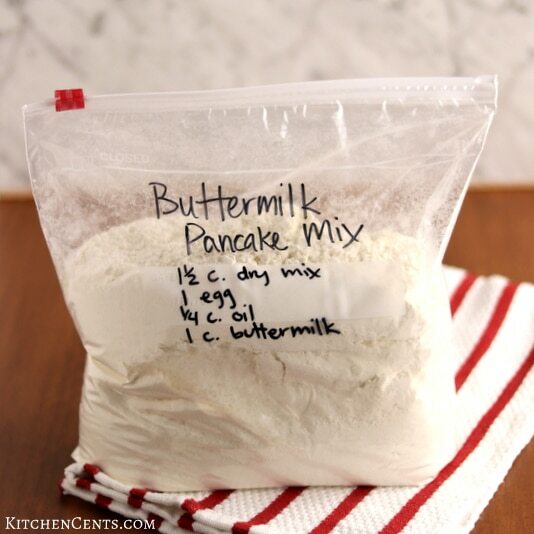 On any given day you’ll find a gallon size bag of this dry buttermilk pancake mix in my pantry. This can cut down on prep time if you like to enjoy pancakes in a flash. I typically triple or quadruple the recipe. This gives me about 10-13 cups of dry mix. For our family of 6 (two adults and 4 little kids) a “half batch” is enough for us. That’s about 1 1/2 cups of the dry mix which makes about 8-9 5-inch pancakes. The dry mix will last in an airtight container or bag for a few months as long as it’s kept dry. 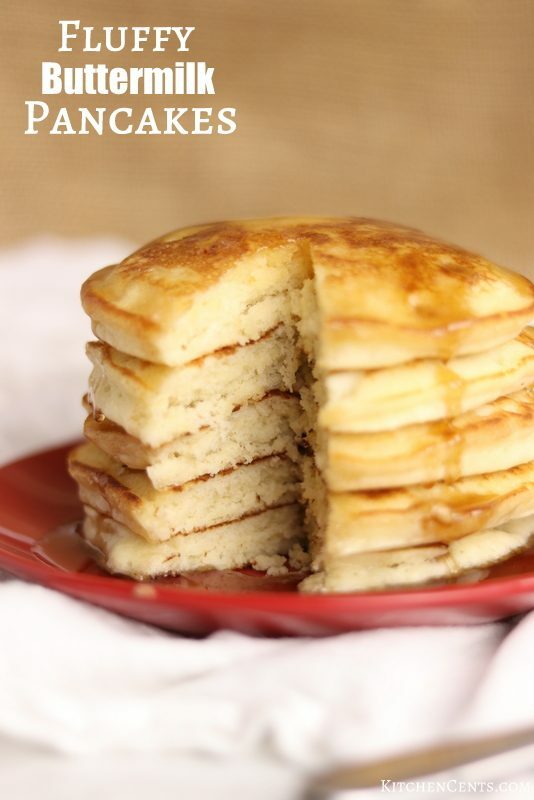 You can find the full printable recipe card for these buttermilk pancakes below. If you’d like a printable recipe card for the dry mix, you can find that HERE. I don’t have buttermilk. Can I use a buttermilk substitute? Yes! Buttermilk is the one thing I typically don’t keep on hand. Thankfully we always have milk and vinegar or lemon juice. If you find yourself in a bind and don’t have buttermilk, you can make a substitution by mixing regular milk and vinegar or lemon juice. To make a buttermilk substitution add 1 tablespoon vinegar OR lemon juice for each cup of milk. Let the mixture sour for 1-2 minutes before using. These buttermilk pancakes are delicious with all kinds of toppings and additions! If adding fruit, cook time may vary because the fruit will add extra moisture to the batter and take longer to cook through. The total cost for this recipe is ONLY $1.30! That’s less than 9¢ a pancake!!! That’s crazy talk right and if you don’t have buttermilk on hand and make your own, it’s even cheaper. Next time you’re feeling like comfort food in the form of buttermilk pancakes, skip the restaurant, save some dough and make them homemade! They’re fresher, taster and sooo much cheaper! What’s your favorite buttermilk pancake topping or addition? For the printable recipe card for the DRY PANCAKE MIX, click HERE! Here’s the full printable recipe for these perfectly fluffy buttermilk pancakes. Enjoy! Fluffy, moist buttermilk pancakes topped with butter and your favorite syrup, jam or fruit. An easy breakfast comfort classic! Add eggs, buttermilk and oil. Mix. Do not over mix. There should be some small lumps in the batter. Cook on a greased (butter or pan spray) heated skillet. Cook pancake on first side for 2-3 minutes or until several bubbles begin to surface on uncooked side. Flip and cook for an additional 1-2 minutes. Pancake is done when sides are golden brown and batter is cooked through. Top with butter, your favorite syrup, jam, peanut butter, etc. MOST FLUFFY, YUMMY, SOFT PANCAKES I HAVE EVER HAD! this is my new favorite breakfast! Thanks, Margery and I’m so happy to hear you’re enjoying this recipe. We LOVE it too!